This cocktail has been circulating on Weekly Bite for a few years now. It has become my official classic Holiday drink. 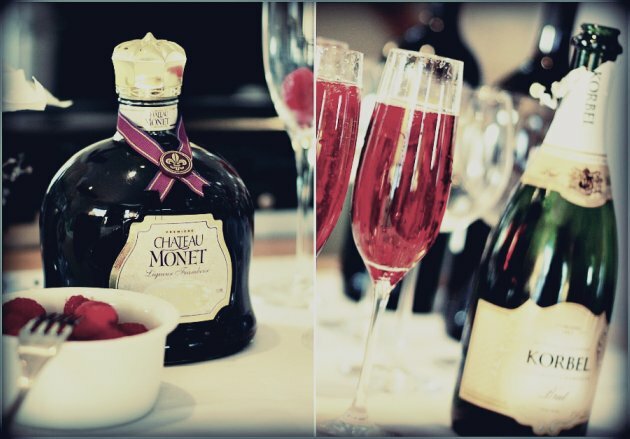 If you are hosting a party you will most likely be gifted with more bottles of champagne than you know what to do with. I have never been a huge champagne drinker. 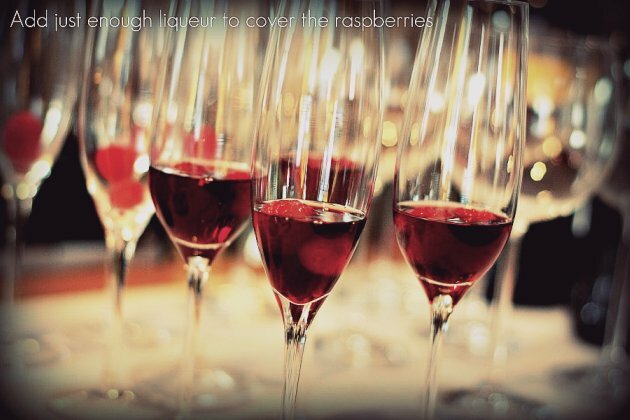 But pair it with raspberry liqueur and it is guaranteed to be the party favorite. This little cocktail brought champagne to a whole new level for me. A good friend introduced me to these and I never looked back. 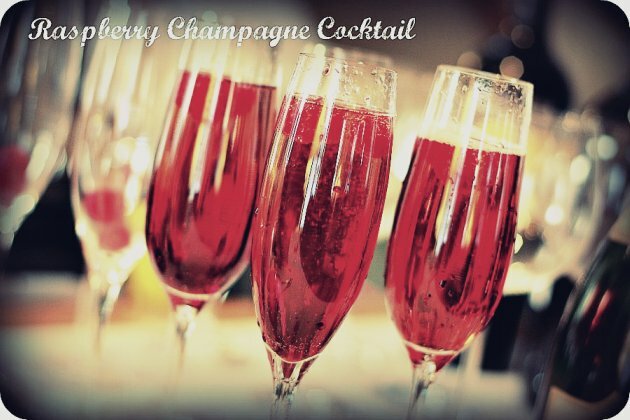 So when toasting the Holiday festivities, instead of serving plain old champagne, toast the New Year with this yummy Raspberry Champagne cocktail! 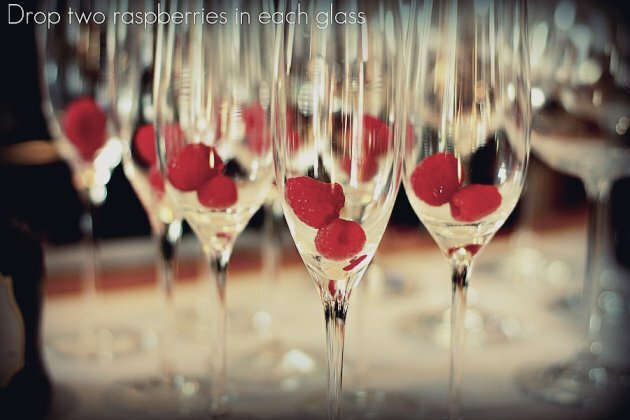 All you need is raspberries fresh or frozen, chambord (or another raspberry liqueur) and champagne… Any kind will do. Every time I serve this my guests love it!